Discussion in '2nd Gen. Tacomas (2005-2015)' started by david04, Oct 12, 2007. This truck doesn't even have 5,000 miles yet and someone stole the tailgate right off it. Apparently, there were 3 that were stolen around my area... becareful guys! Which option is cheaper? paying insurance deductable of $500, or buying the part separetly and painting it? You might want to research how much a new factory or aftermarket tailgate costs.... and the cost to have it painted. That $500 deductible might not be that bad. 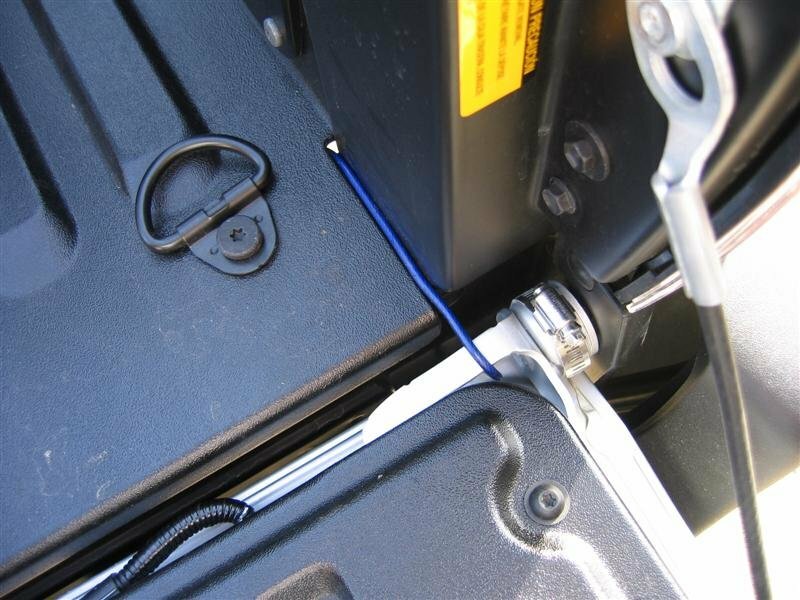 Thats exactly why everyone needs to buy and install a Pop-lock or other brand locking tailgate handle. There's a cool mod I saw on Toyota Nation where I think someone used a hose clamp too. I have a pop&lock on mine. Also Dave where do you live? I hear in California this is a real problem. Yeah that's the one, thanks PB. Check out this pop lock. Pop N Lock when you get it fix. $25 bux. I added the hose clamp to mine (Thanks Steve) you never know. I used thread locker on it to make it extra hard to unscrew it. I figure no one is gona hang around long enough now to remove it! Monitor craigs list and ebay. If you see your tailgate for sale, notify the authorities. Anyone selling a tailage should be detained for questioning anyway. Everyone should use the hose clamp mod for tailgate security. would LOVE to know the area where the OP had his stolen. good info, to protect ours, and to keep an eye out for his. check your local craigslist... you can probably buy it back from the guy! I tried to take the tailgate off my truck when I first got it and couldn’t do it. WTF! Somebody (probably the dealer in Sacramento) rotated the plastic sleeve on the side of the tailgate with the slot to fill the gap. This is a great and simple fix. Did you guys see the date of the OP? 2-1/2 year bump to the thread. I have my old tailgate from when they replaced it with the TSB gate.. It's slightly bent but definitely usable, doesn't have the plastic back piece. Is it worth selling?